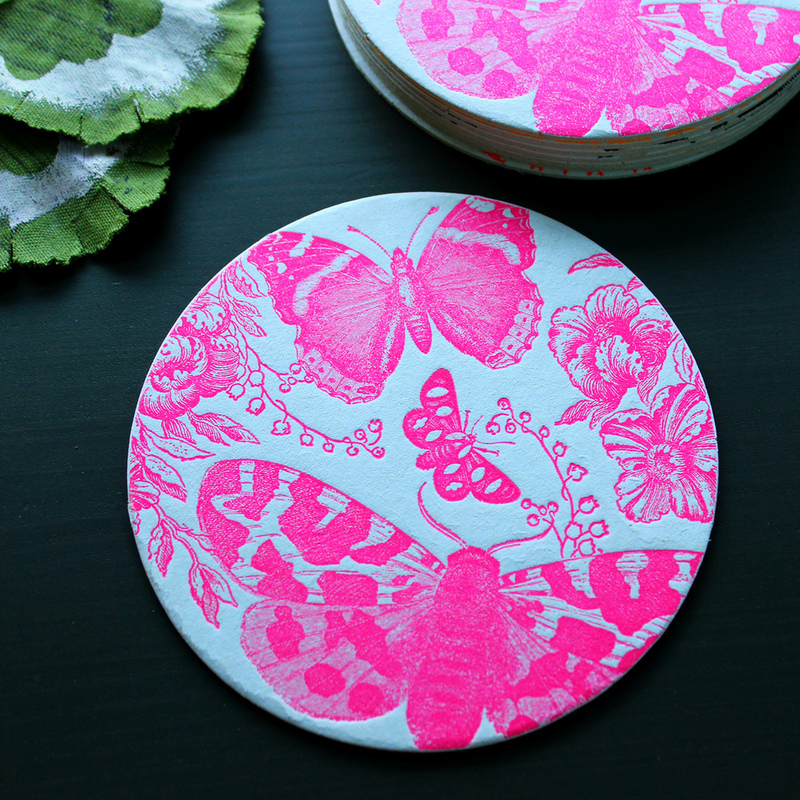 We love these new bright, letterpress coasters featuring fun bug patterns! Insect patterns can easily seem creepy crawly, but the neon colors and little floral elements make these designs unique. 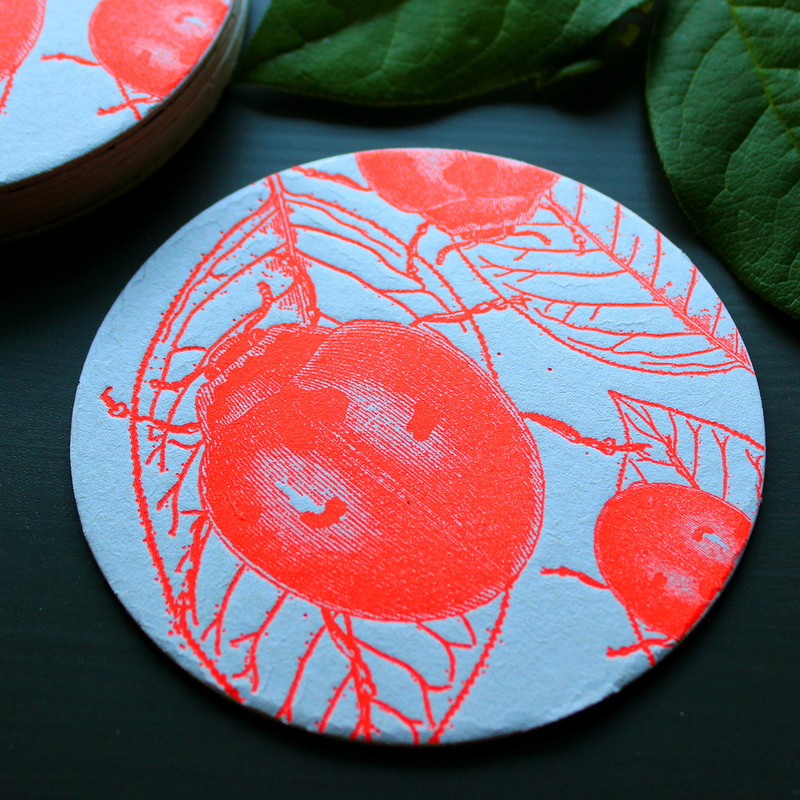 These coasters, especially the black beetle, would be perfect for a Halloween party or just to brighten up your coffee table. Imagine sipping morning coffee with a beautiful yellow bee next to your mug. These coasters are available in sets of 8 with 2 of each design on our website shop.